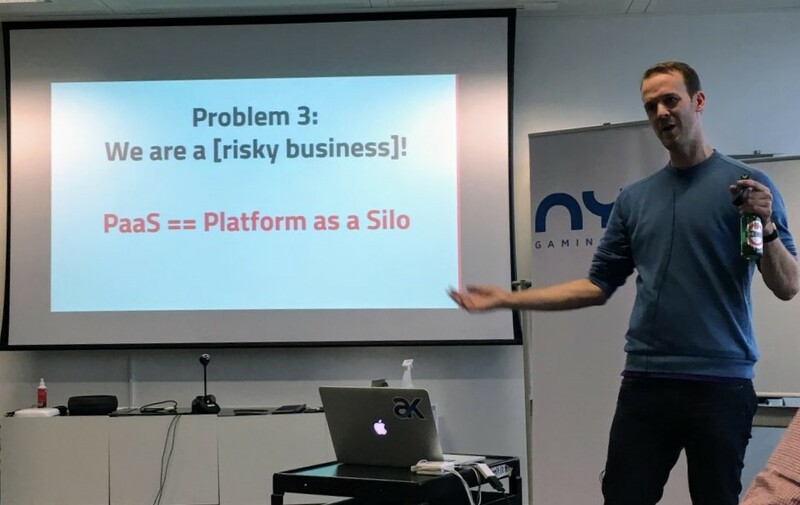 A six-year veteran of continuously deploying swarms of microservices to various Platform-as-a-Service environments, Ben Dodd kicked off a recent London Continuous Delivery Meetup by asking: What is the relationship you want to have with your Platform-as-a-Service (PaaS)? “As developers, we want to be spending time creating and pushing features, we do not want to have to worry about platforms and talking to operations. [It’s all about] getting feedback and getting those features in the hands of users,” he said. Dodd says that you may have a few superheroes that can do everything but it takes time. In general, like the monkeys and the ladder experiment, people will commit to things by saying “It’s always worked like that.” But just because it always was, doesn’t mean it’s ever better. Similarly, a lot of teams tend to think that their organization is so special with different requirements than anybody else so they have to create a new PaaS. Then there will be a few superheroes who will set it up, but then when they leave, no one knows how to use your PaaS. Again, if you only build your own PaaS, you create more shared requests and a whole ticketing system just for the PaaS requests. Dodd says this only serves to create “more superheroes building more obstacles.” As you use the security excuse more to build your own PaaS, he says you’re really only building a slow and complicated Platform as a Silo. “Updates every four weeks, two weeks to test each, so when do I get my new feature? It takes us two weeks to test because we’ve manually deployed, scaled, distributed — it ends up standing still, just updating,” Dodd said. 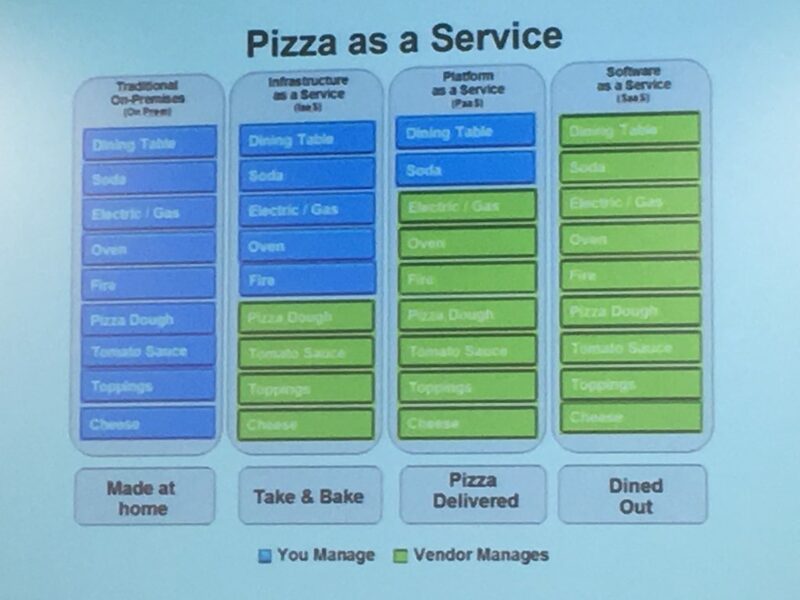 Dodd pointed out how especially in enterprises, once something is deployed, it’s not revisited for about six months, so people deploy and keep things up and running just in case because it took so long to get it up there. He argues in favor of deployment tools like Bosh that can get things going in a couple hours. Dodd has witnessed how many organizations will either create their own PaaS or they’ll use an existing PaaS that they deploy manually, but can only test it when they go live. Dodd’s company Armakuni runs the donations platform behind the enormous annual Comic Relief fundraiser which during one big night each year sees up to 300 donations per second, raising £76 million this year alone. “If we don’t collect then, people won’t come back,” Dodd said, pointing out how when people are moved by the program to donate, if the payment doesn’t go through, they won’t be as eager the next day. To keep everything strong with only an annual feedback loop, it is run it all on a global, open-source, multi-cloud infrastructure, which makes the project incredibly high-risk. The layers of backup and planning in it has led to Gartner offering Comic Relief as an example of multi-cloud architecture. They have servers and back-ups around the world, running on all major brands, so everything is the same even if one piece crashes. “All parts are identical, whether AWS or Google or on-premise, is all identical — and any of these can do 300 per second,” Dodd said. To achieve this, they had to make a trade-off. To accomplish this, they use the open-source deployment and lifecycle toolchain of Bosh, along with Cloud Foundry PaaS, and Concourse CI for highly declarative continuous integration. This multi-cloud architecture is also built on a mix of test-driven compliance, test-driven development and test-driven resilience. Use test-driven development using BATS. “We focused on the ‘what’ and ‘why’ not the ‘how.’ Do not engage with how it is currently done. The idea is to go to those sort of stakeholders and ask: What is your actual requirement like risk and compliance.” By answering these questions you can get into a fully automated process. The development team didn’t have production and staging named environments, allowing to shoot out at a moment’s notice. “We deployed in sociable times because we’re doing these updates on every single commit and doing it continuously — so we can stop having support teams come in at the middle of the night,” he said. Pair developers and operations up to learn together from each other from the start.